The authors share their views on what business owners should consider doing in anticipation of selling their business. The authors also share structuring considerations to close the transaction and reap the reward. So, the owner founded the business and, over the years, built it into the profitable—and flourishing—operation it is today. Or maybe the owner inherited the business, maybe even bought out an existing enterprise. But, whatever the path to success, there is no doubt the owner worked hard and long to get to where he or she is now. But now it is time to move on and the owner wants to sell the business. Questions abound: the owner will ask where do I start, exactly? What do I do first? Who should I talk to? If the whole process seems daunting, it does not have to be. The following are some thoughts we share with clients and prospects in this position. Just keep in mind that when it comes to valuing the business—any business, in fact—there are a variety of valid, equally acceptable, ways of arriving at the answer. The truth is that the entire valuation process is more art than science. The owner’s first step should be to contact a professional business appraiser who is qualified to perform business appraisals and has both the training and the experience, and has the credentials such as the ASA, CVA, or CBV. These credentialed professionals employ a variety of approaches when quantifying the value of a business, but in any event, having an appraisal prepared by an established, qualified specialist will lend credibility to the owner’s go-to-market price. How do Appraisers Gauge the Value of a Business? An upward growth history and a potential for future growth. A robust balance sheet that establishes a positive cash flow, acceptable margins, and manageable debt levels. Competitive business advantages; plus an established and expandable client base. The overall competence of the workforce; especially the expertise and experience of the company’s management team. The value of any proprietary systems, applications, and intellectual property; plus ownership of any significant intangible assets. If it applies, the condition of the company’s machinery and equipment and real property. We cannot overemphasize the importance of keeping accurate and comprehensive business records―and making sure that they are well organized and accessible. The owner should expect to produce records. It can make the difference between a successful sale or no sale at all. For example, we were recently approached by a client who wanted to sell his company. Unfortunately, he had failed to keep his books and records up to date or accurate. As a result, several previous deals had fallen through, simply because of his forgetfulness. However, we were able to help with the ‘clean-up’ process and, thus, the owner was able to successfully sell his company—for $32M. After taxes and other closing costs, he walked away with approximately $20M. At this point, the owner’s CPAs (or their accounting firm staff) will have moved on to what is perhaps one of the most important stages in the valuation process: the assembly of those files and accounts that show exactly how the company has recently performed. The first step is to calculate the Trailing Twelve Months (TTM), which is an objective appraisal of the company’s overall financial health. Usually based on the firm’s financial reports—be they quarterly, annual, or interim—the TTM determines exactly what income the company generated for the twelve-month period immediately preceding the assessment. In addition to disclosing the company’s monthly P&L schedule, the TTM will disclose such data as overall revenue/earnings, or a company’s Earnings Before Interest, Taxes, Depreciation, and Amortization (EBITDA). However, to provide complete transparency in this pre-sale process, the CPA will also require a complete listing of non-recurring or personal expenses, as well as the owner’s (and if applicable, owner’s spouse’s) compensation. Now we come to what, for the owner, is a crucial step in the sales process: structuring the deal so that it yields the best possible tax outcome. This is yet another reason to have the expertise of an experienced CPA and business attorney at the owner’s disposal; many otherwise good deals have been undermined at this stage. The first thing the owner and his or her accountant need to determine is how business is conducted. For instance, is the business a sole proprietorship, a partnership, a limited liability company (LLC), or an S corporation? Whichever one it is, these are all defined as “pass-through” entities and give the owner a great deal of flexibility when the owner and business broker/investment banker and professionals are negotiating the sale. However, if the business is a C corporation the owner’s flexibility is limited in a sales transaction, since a C corporation does not enjoy the “pass-through” taxation rates that other entities do. That, in turn, raises the real possibility that the owner will be faced with double taxes when the company sells the assets and share the proceeds with other shareholders. Can You Construct a Tax-Free Deal? A sale like the one the owner has in mind is, more likely than not, a taxable transaction. However, the owner might be able to affect the sale tax free, or more accurately, as a tax deferred transaction. Provided the owner meet all the IRS requirements—which, by the way, are extremely complex―then the owner could theoretically exchange their S corporation or C corporation stock for the corporate stock held by the buyer. This area of tax law is complex, but also affords the owner potential tax benefits. What is the Owner Selling―Stocks or Assets? Since it is unlikely that the owner will undertake a tax-free transaction, it is important that the owner understand the implications structuring the sale as an asset or stock deal before the owner agrees on the provisions of the contract. However, most buyers prefer assets rather than shares because there is virtually no possibility of being burdened by any liabilities that the seller failed to disclose. Careful due diligence should prevent that anyway, but a savvy buyer will still opt for assets since they can secure more advantageous tax deductions later. If the seller and buyer are unable to agree on a purchase price, the seller can agree to the buyer making an ‘up-front’ payment, which then requires additional ‘earnout’ or contingent payments—provided the buyer can attain agreed-upon financial objectives within a predefined time. One caveat here: even if the initial contract was eligible for long-term capital gain treatment, some of the contingent payments will be regarded as imputed interest, which the IRS treats as ordinary income for the seller, and which is therefore taxable as ordinary income. Sellers can receive payment from the buyer over an extended period of time provided that all parties are in agreement. The downside is that the seller does not receive the full amount immediately. The upside is that the seller can postpone the overall gain on the transaction until the buyer delivers on their financial commitment. However, any part of the transaction having to do with depreciation recapture or gain on ordinary income type items—such as accounts receivable or inventory—does not qualify for deferral. Why is the Allocation of the Purchase Price so Important? 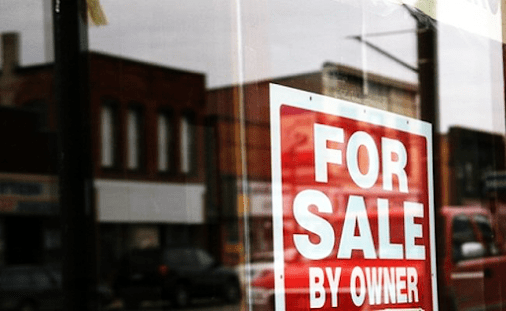 The reason is fairly straightforward: when a business is sold, the federal taxes imposed can vary widely from as much as 39.6%—which reflects ordinary income rates—down to 20%, the rate at which long-term capital gains is taxed (if the seller is in the highest tax bracket). Plus, these rates also do not contemplate the net investment income tax of 3.8%. This means that the seller and buyer need to agree on the distribution of the total purchase price to the assets acquired. As seller’s CPAs and business attorneys will undoubtedly tell the owner, that seller and buyer are required to file an IRS Form 8594 to formally acknowledge the agreed-upon allocation. Plus, seller’s CPA will undoubtedly tell the owner that if the purchase price allocation is being discussed, decisions need to be made on whether to run the company on a cash or accrual basis. The distinction is important because depending on the answer given, the owner will have to separate the company’s assets into their constituent parts, which might include: accounts receivable, equipment, inventory, real property, cash, intellectual property, and other intangibles. Last, but certainly by no means least, is the subject of state and local taxes—and it may well be more important than you think. Depending on where the business is located, or in some case, registered, the way a state regards a particular deal depends on whether it is structured as an asset or a stock transaction. Moreover, if an asset sale, or a deemed asset sale, is part of the deal, then you may owe taxes in the state in which your company has assets, sales, or payroll obligations. Plus, a lot of states do not offer long-term capital gain tax rate benefits, which means that even if an asset sale gain qualifies for long-term capital gain taxation under federal rules, it may nevertheless still be subject to state taxes. Finally, keep in mind that stock sales are usually subject to tax in the state in which the owner resides—even if the company conducts its business in another state. It is worth pointing out that there is often a very large divide between what an owner thinks the business is worth and the price a potential buyer is willing to consider. This is very common, especially since owners have an emotional investment in their business(es). Like countless others, owners probably factor in more than financial data when trying to decide what the business is worth. However, the truth is that the owner’s emotional attachment to their business cannot be part of the valuation equation. Ms. Sadang can be contacted at (212) 201-3012 or by e-mail to asadang@markspaneth.com. Mark R. Cuccia, CPA, is a Director at Marks Paneth LLP. He has 15 years of experience serving clients across a wide range of industries including manufacturing, importing, wholesale and distribution, retail, restaurants and professional services industries. He is a member of the American Institute of Certified Public Accountants (AICPA) and the New York Society of CPAs (NYSSCPA). Mr. Cuccia is currently co-chair of the NYSSCPA, Nassau Chapter of its Accounting and Auditing Committee. He is also a member of the Hauppauge Industrial Association. Mr. Cuccia can be contacted at (516) 992-5908 or by e-mail to mcuccia@markspaneth.com.